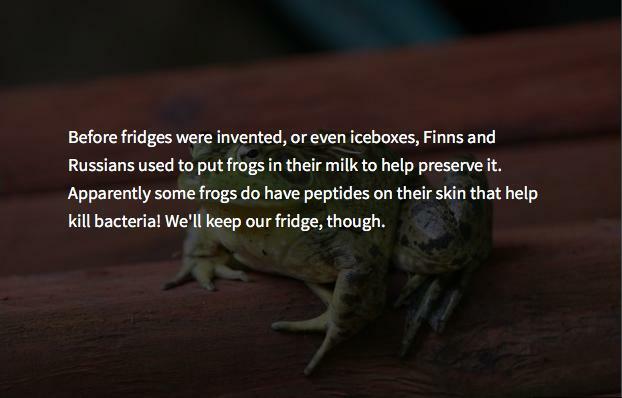 People used to put LIVE FROGS in their milk to keep it fresh. 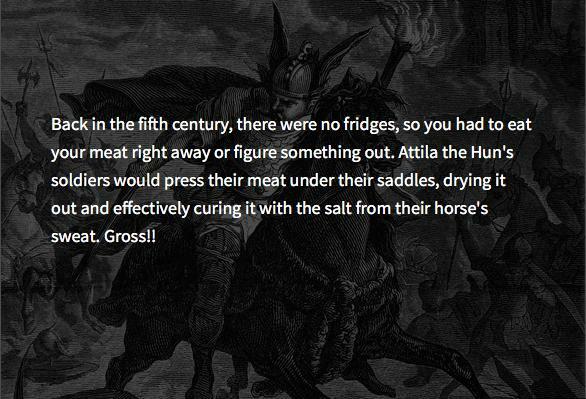 The soldiers of Attila the Hun preserved their meat by "curing" it - under their saddles. 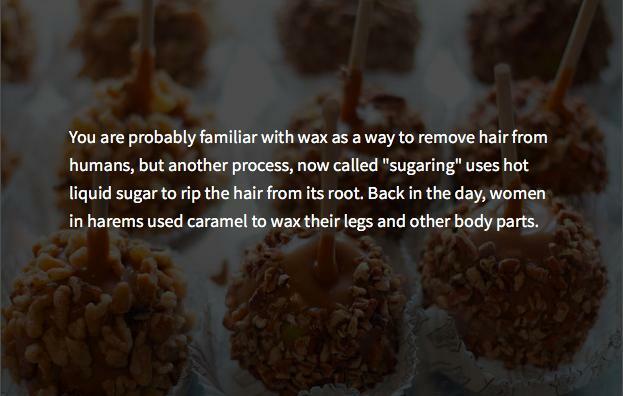 Caramel was used as a hair removal product. 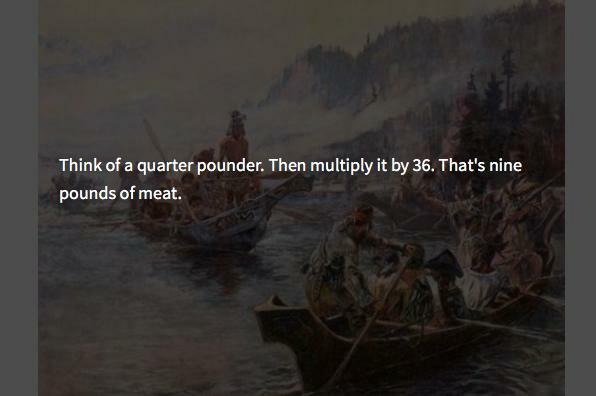 On the Lewis and Clark expedition, when meat was plentiful, each man ate about 9 pounds of meat a day. 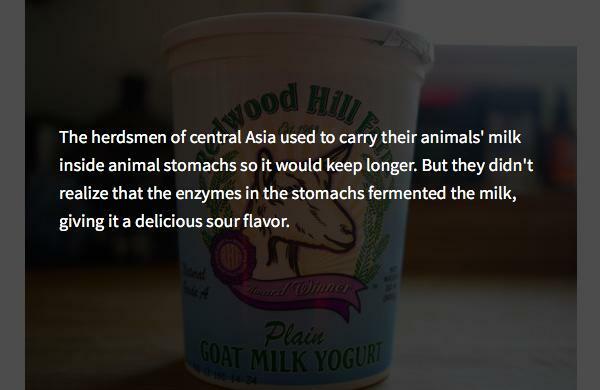 Yogurt was - and still is - spoiled milk. 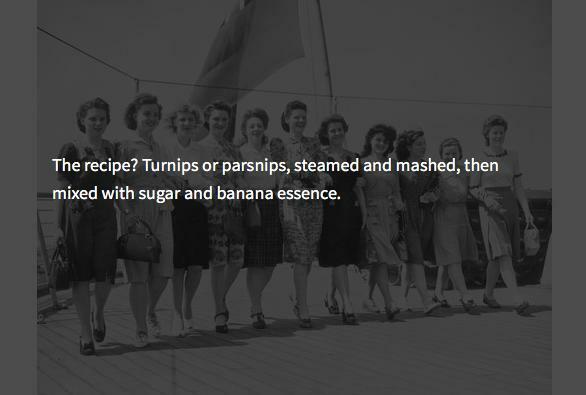 During World War II, people would make "mock bananas" since real bananas were hard to come by. 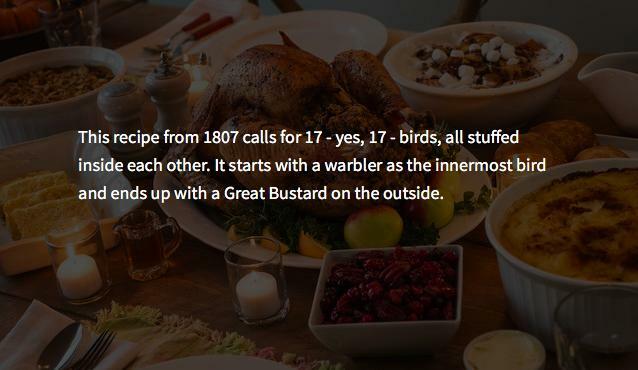 The rôti sans pareil is a roast made of SEVENTEEN birds stuffed inside each other. 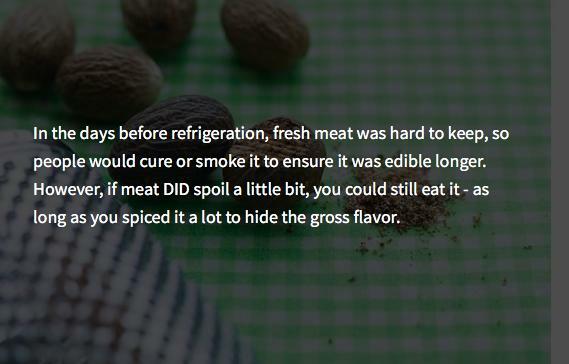 Spices were used to mask the fact that meat was spoiled. 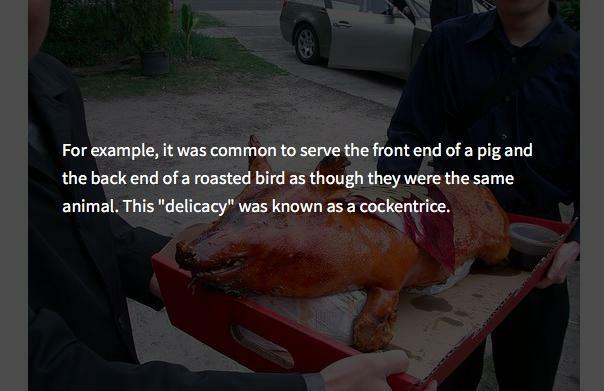 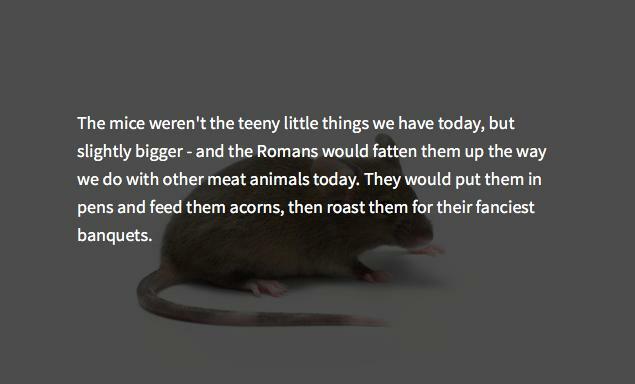 Medieval banquets sometimes included a roast made of the front of one animal and the back of another. 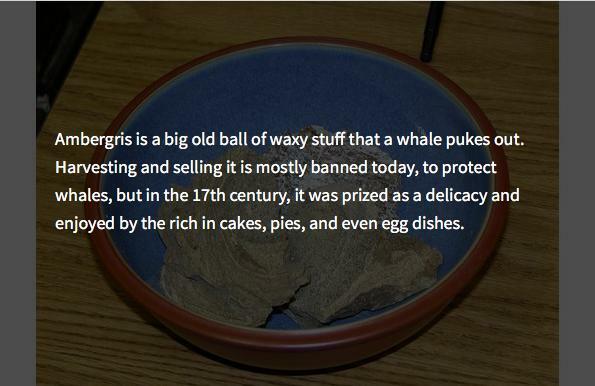 People used to eat ambergris on the regular. 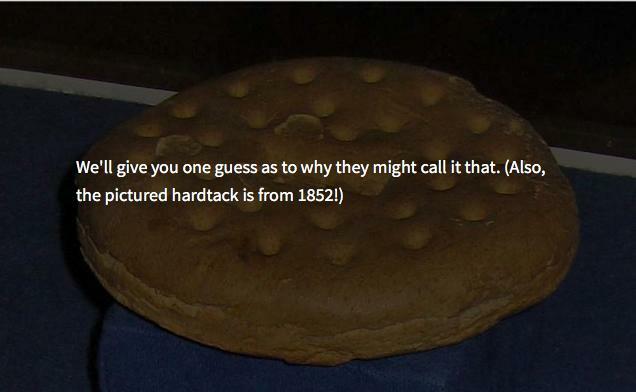 Hardtack, a hard cracker eaten by soldiers and sailors, was sometimes called "worm castles." 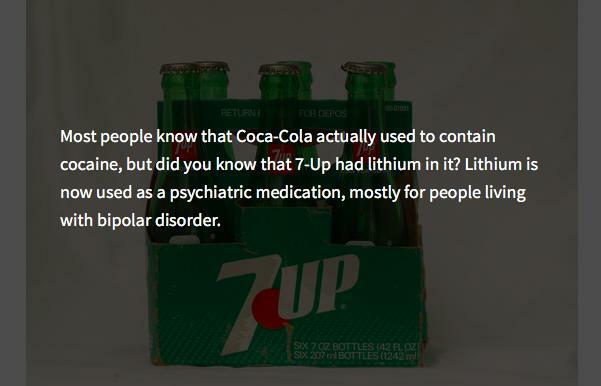 7-Up used to contain lithium. 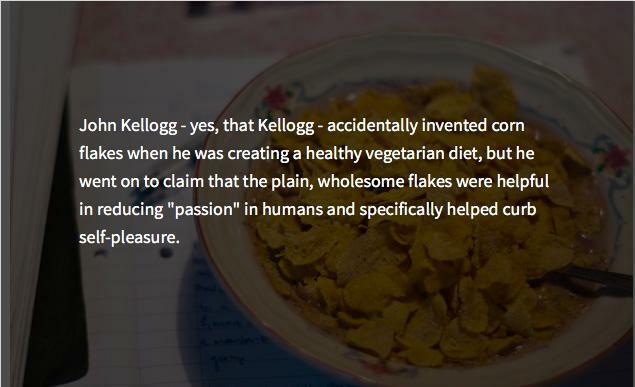 Corn Flakes were marketed as an anti-touching yourself aid. 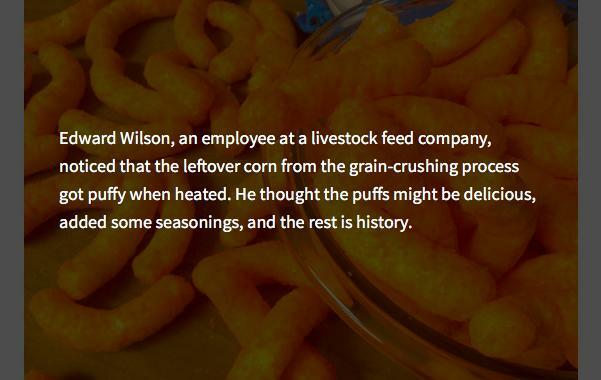 Cheese puffs are actually garbage. 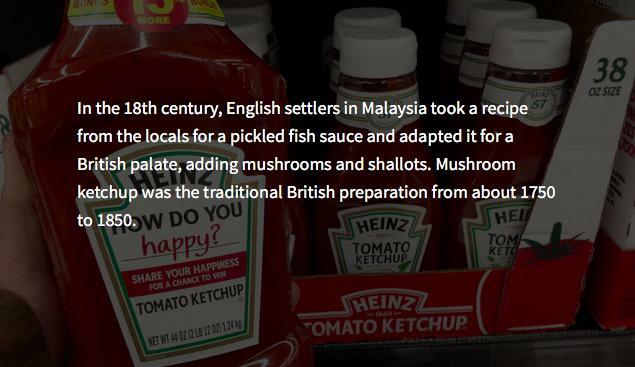 Ketchup was originally made with mushrooms, not tomatoes. 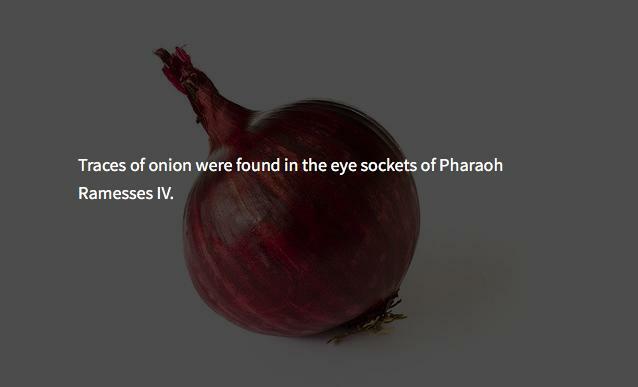 The Egyptians revered the onion for its shape and used them in burials. 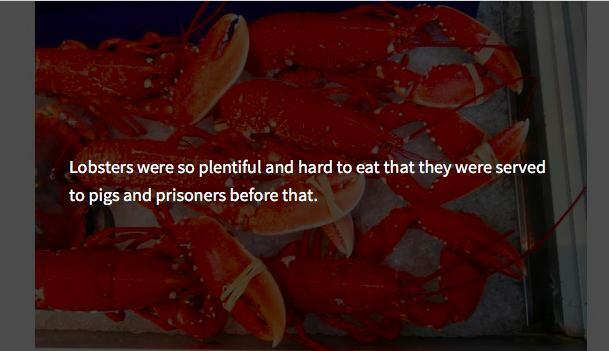 Lobsters were considered trash food until trains started serving them as a luxury meal. 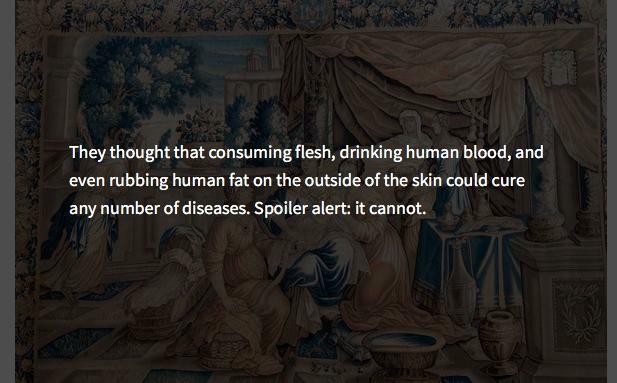 17th century rich people ate human flesh. 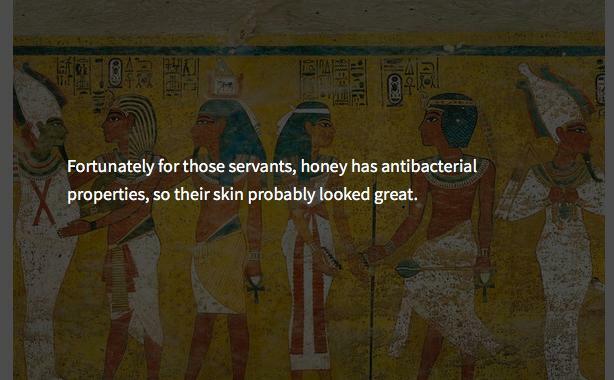 Egyptian servants were sometimes slathered in honey to keep flies away from the Pharaoh. 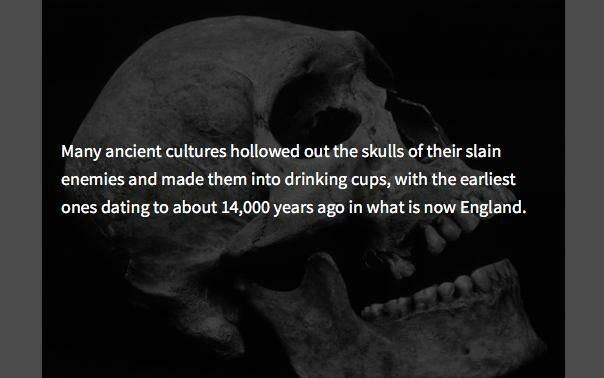 Human skulls were used by ancient civilizations as cups. 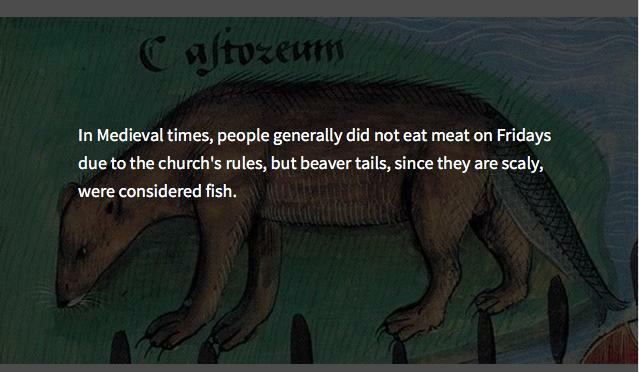 Beaver tails were considered to be "fish" and could thus be eaten by observant Christians on Fridays. 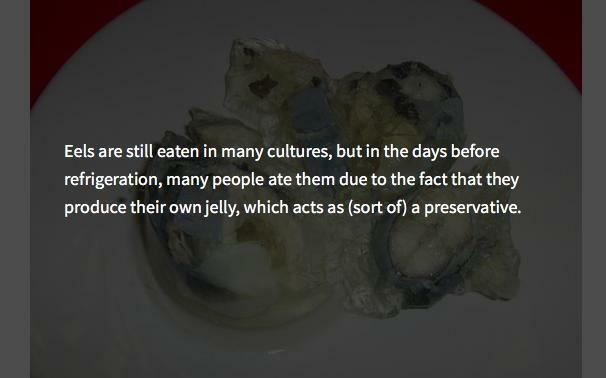 Eels make their own gelatin when cooked. 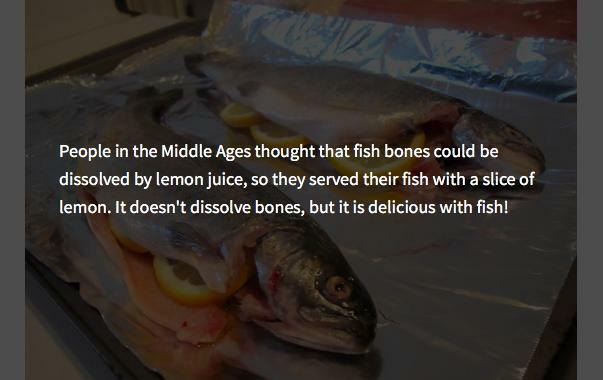 Fish was served with lemon to "dissolve" the bones. 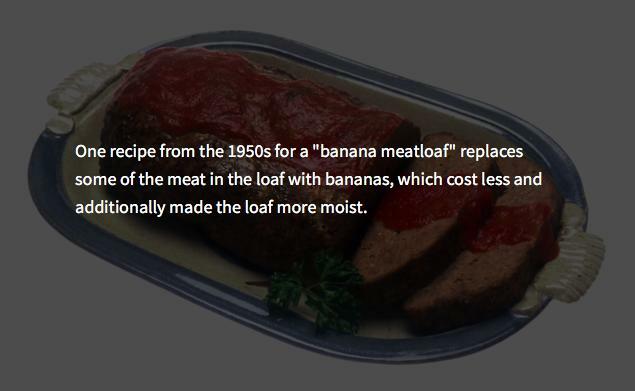 Bananas were used as a meat extender during tough times. 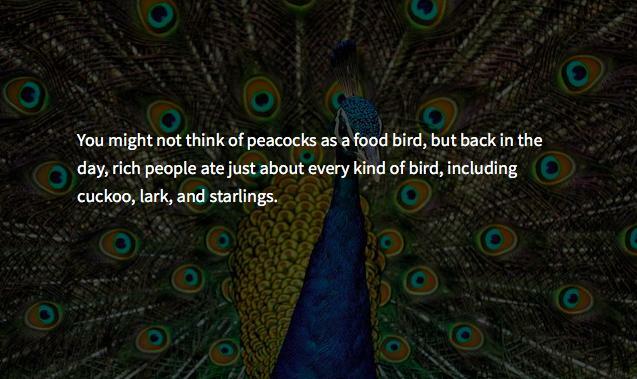 Peacock was eaten in the past. 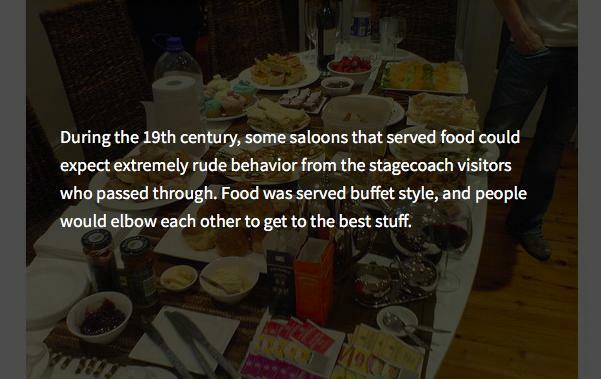 People who dined in saloons fight for the best stuff. 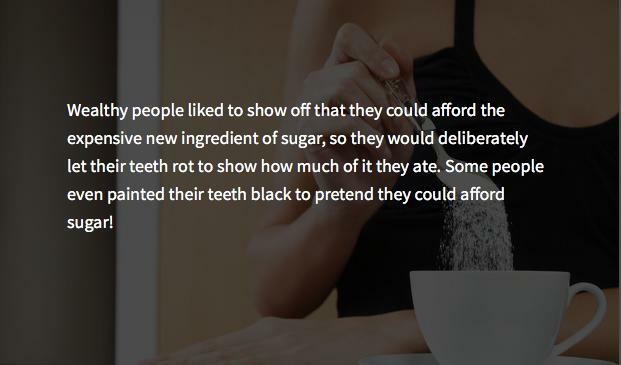 When sugar became available in Europe in the 1500s, people's teeth turned black. 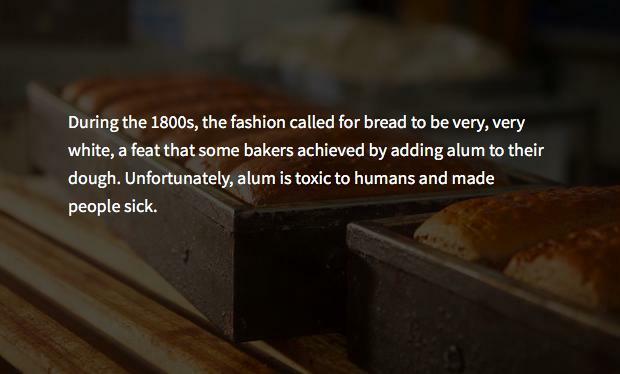 People used to use alum - which is toxic - to make their bread whiter. 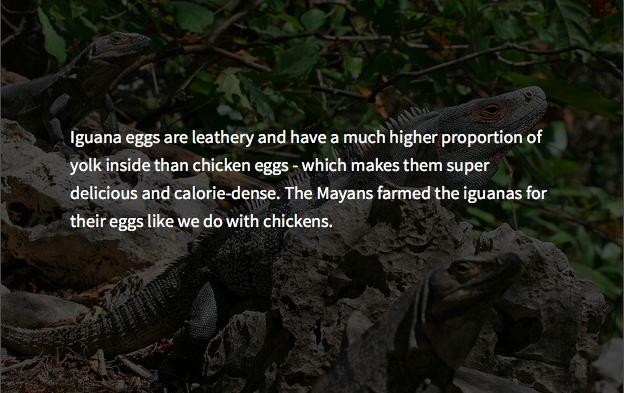 The Mayans ate black iguana eggs.